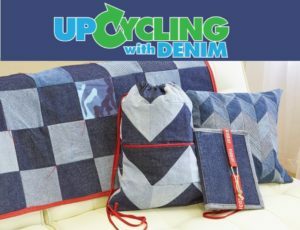 In case you missed our free project for March, here it is! 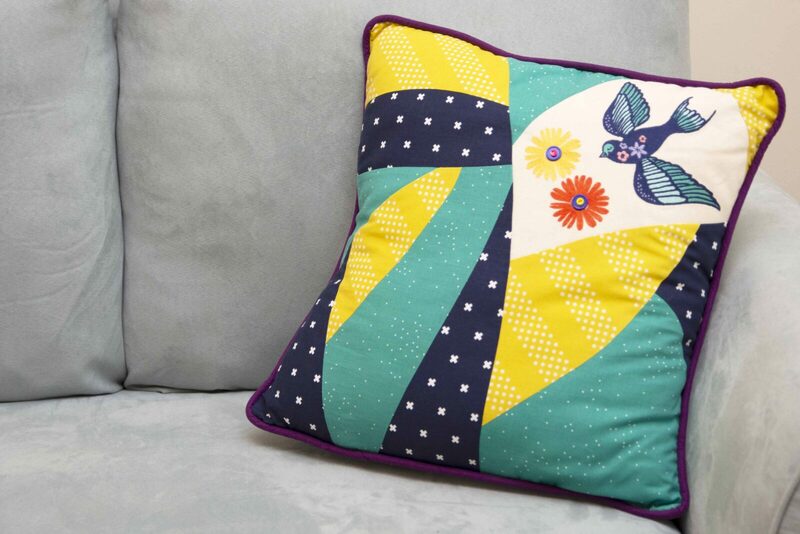 This pillow is pieced in a whimsical, funky way that lends itself to modern home-decor. 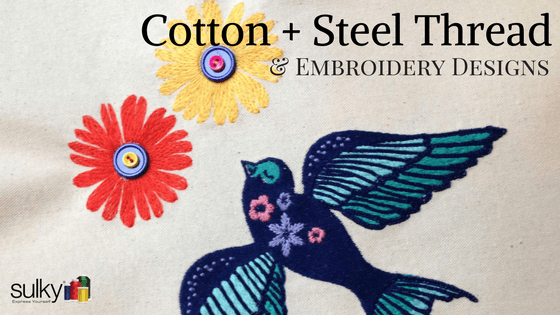 The fabric is by Cotton + Steel, but you can use any fabric in your stash and change the threads in the design to suit your existing home decor or bring in a little brightness for springtime. 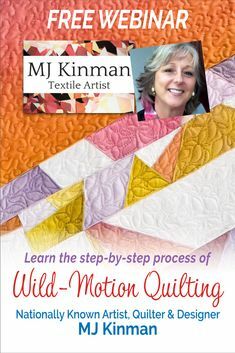 Follow the link for all the how-tos and full pattern instructions. The designs are from the Cotton + Steel Scout collection, including Medium Lovebird design #80141-04 and Happy Daisy design #80141-11. 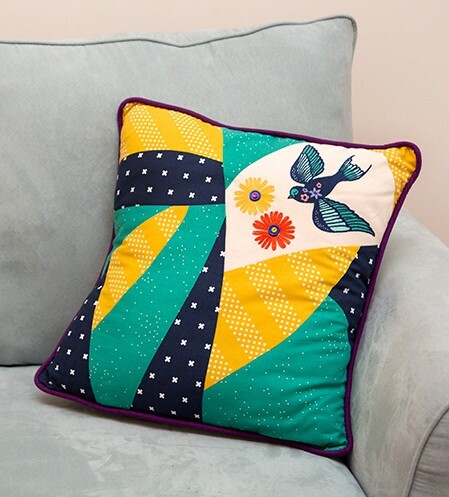 With this pillow pattern, you’ll practice sewing curves and piecing fabrics for a unique design. Plus, you’ll make your own piping and learn tips for joining the piping ends seamlessly for a professional finish. 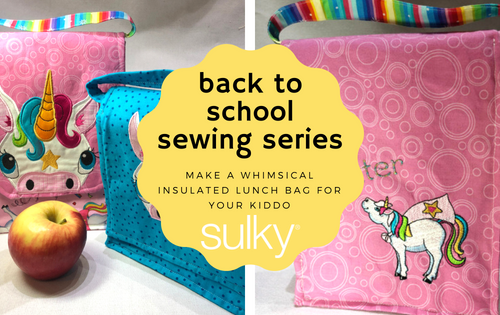 Place the embroidery on a solid to allow the embroidery to pop. A white or cream goes well with any fabric combination, but a dark gray or black is also stunning as an embroidery background. 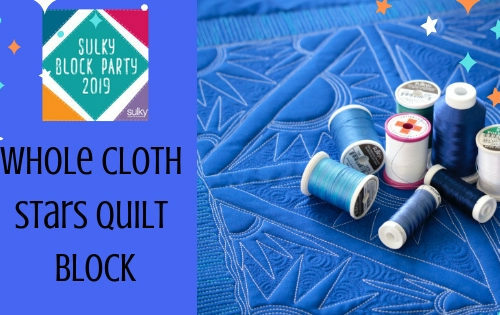 Choose fabrics from your stash that may not go together for the piecing to put a unique eclectic spin on this design. 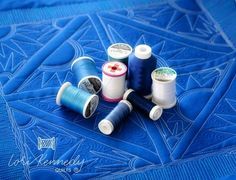 You can get all the Cotton + Steel thread needed to embroider the entire collection as well 31 fun patch designs that are great for visible mending. 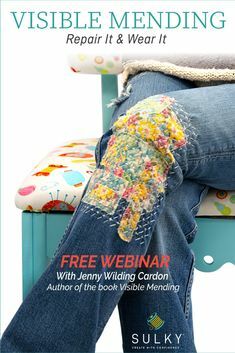 If you’re not familiar with “visible mending,” check out our free webinar with Jenny Wilding Cardon. Patches are just one way to visibly mend an item of clothing, and making your own patch is the cherry on the sundae! Jenny teaches two more mending techniques that add a touch of personalization to thrifted clothes, worn linens and anything you may have bleached by accident. 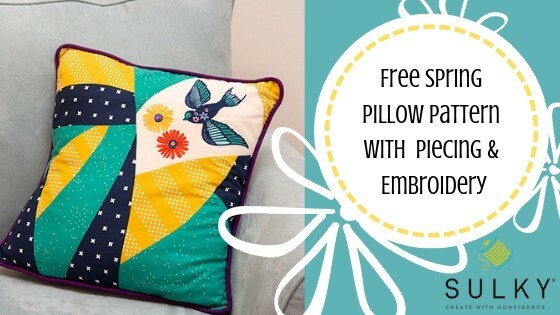 Enjoy making your pieced pillow with embroidery and let us know how it turns out! 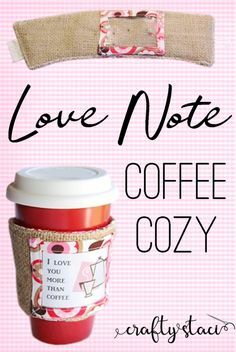 This is a really cute pillow. I have a stash of pillow forms so This would be a nice way to get one out in public. 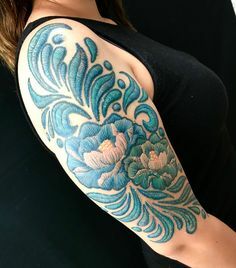 Thanks so much for the share. 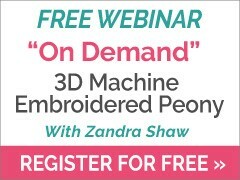 Looking forward to the webinar too.